FREE CFL GE Bulb at Rite Aid (Starting 5/24)! You are here: Home / FREEbies / FREE CFL GE Bulb at Rite Aid (Starting 5/24)! Be sure to mark your calendars for this great FREEbie! 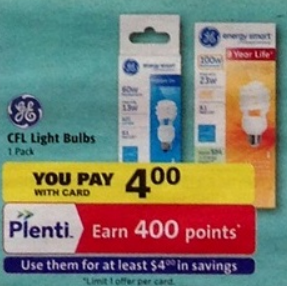 Starting 5/24 you can pick up a CFL GE Bulb for FREE at Rite Aid! Plus no coupon is needed!